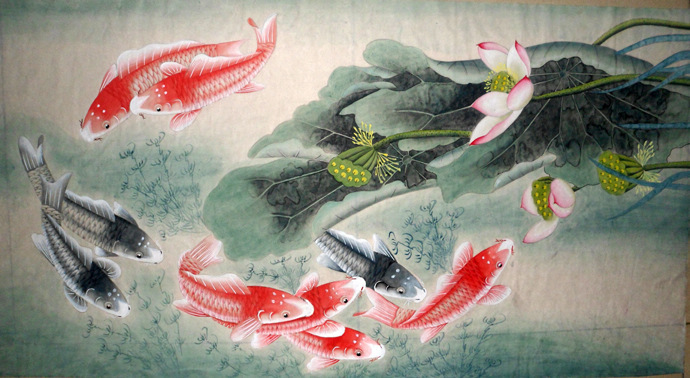 Like some other traditional Chinese art form, Chinese silk paintings have a very long history. This is because China has been cultivating silk for many centuries. Chinese silk was so important at one point that it was used as a form of currency. Only rich people could afford silk clothes. For a long period in ancient Chinese, peasants were not allowed to even wear silk. In ancient China, silk was one of the primary materials to paint on. As a very luxurious material, it is also practical. Ancient Chinese paintings on silk are considered a national treasure of China. And today Chinese silk paintings continue to be very popular in China and also in Western countries. Silk paintings offer a different way of beautiful works of art. This is evident in the rising sales volume of silk paintings from China. If you want to create a silk painting, you must first prepare the silk. This is done by stretching the silk and dying the silk with the background color. Once the dye has dried, a thinned layer of gutta is then applied to the silk. Once the gutta has dried, the silk is considered ready for painting. If the silk was not prepared prior to painting, the ink would bleed from one fiber to another creating a blotchy appearance. After the silk has been prepared, you can now create a silk painting. 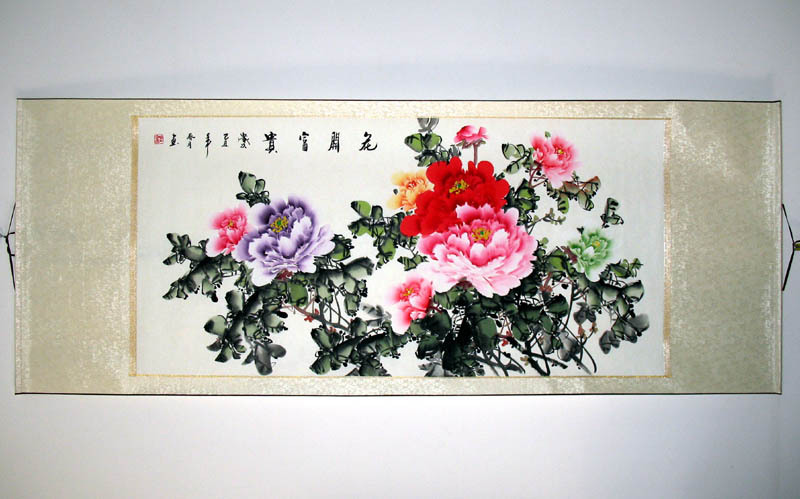 Chinese calligraphy paintings are a very popular type of silk painting. In this type of painting, the artists would combine a painting and a poem on the silk canvas. For example, the artist could paint a dragon and write the Chinese calligraphy symbol for the dragon next to it. Subjects such as horses, bamboo, flowers, and birds are popular also. Given the popularity of Chinese culture in western countries and how relatively cheap they are when compared with comparable western oil paintings, Chinese silk paintings offer a great way to add beauty to your home or office. This entry was posted in Chinese Paintings and tagged Chinese Paintings, silk painting. Bookmark the permalink.